Zola Male - Men's fashion in Rotterdam. Zola Male is one of those great ‘different from the usual’ places for gentlemen’s fashion on the Meent in the heart of Rotterdam. There’s no standard interior look to the store, there are no standard brands; there is a contemporary look and there are contemporary brands. So if you’re looking for new jeans, a great suit or matching shoes and/or accessories? Come visit Zola Male! 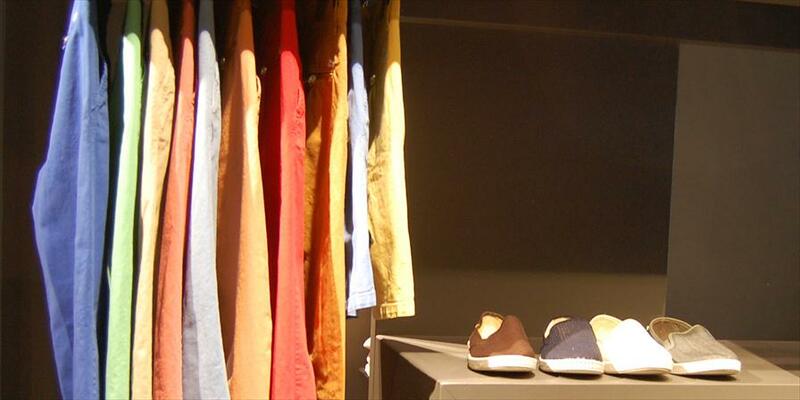 Zola Male is a forward-thinking and remarkably innovative store. They are always looking for something that will entice customers, and that nobody else carries. Zola Male doesn’t compartmentalize; anyone from a financial CEO to a market salesman is more than welcome to come here, and if they love fashion they’ve come to the right place. Zola Male was renovated by an architect, which is immediately noticeable. This remarkable store is a unique blend of casual chic and pure rock ‘n roll. The interior decorating is tight, but the atmosphere is casual. Tip: Zola also has a great boutique for ladies’ fashion. You’ll find Zola Female a bit down the road at Meent 60. For more casual gentlemen’s wear, you can visit the only Replay Store outside of Amsterdam (ran by the same owner). With a bit of luck you can park right in front of the door. The neighborhood around the Meent is known for its delightful mix of fun fashion stores and cozy cafes and restaurants. Paul Smith, Diesel, Cycle, Roberto Collina, Daniel Allessandrini, Goosecraft, Death By Zero, Mauro Grifoni, PRPS Goods, Rude Riders, Buddha2Buddha, Nialaya, Boss Orange, Reign, Memo ed. Bracelets by Buddha2Buddha, Nialaya ,and Paul Smith.